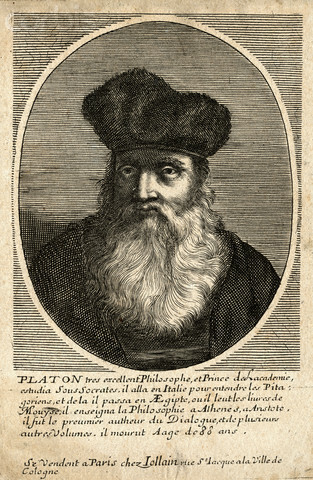 Plato knew that the words he put in the mouth of Thrasymachus were anathema to his audience. Thucydides and Plato are like Shakespeare, in that the canvas of characters upon which they paint the life of man is much broader than any individual. For this reason we cannot assign to any of these men any of the opinions expressed by their characters. All are Socratic, in so far as they force us to think for ourselves by asking questions that are intended to make us uncomfortable. For Thucydides and Thrasymachus, some act and some suffer. Those who act, act as they will; those who suffer, suffer as they must. I have considered this previously in Extrapolating Plato’s Definition of Being, in which I suggested that Plato’s celebrated definition of being — the power to affect or be affected — admits of a total of four permutations: beings that act only, beings that suffer only, beings that both act and suffer, and beings that neither act nor suffer (which are non-beings). From a purely ontological perspective, it would seem that beings that act only or beings that suffer only must be ideal and therefore abstract entities. All beings that we would expect to encounter in ordinary experience would both act and suffer. Intuitively, ontological symmetry seems to be a condition of actuality — or, at very least, of corporeal embodiment. However, from a socio-political perspective, there certainly do seem to be those who almost exclusively suffer and those who principally act, approximating the ideal for all practical purposes. (Is there a practical ideal in contradistinction an abstract ideal? This is an interesting question that I will consider at another time.) A great deal of the ideological superstructure of all known societies is preoccupied with reconciled those who suffer — who constitute the greater part of any hierarchically organized population — to accepting their lot, preferably joyfully embracing their humiliation. 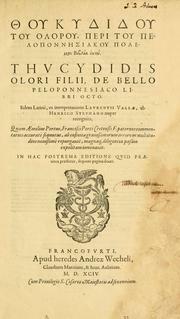 I could approach this from a Kantian perspective and say that the apparent inadequacy of the ontological theory is only illusory, since the popular prejudice that that may be true in theory, but it won’t work in practice is to be addressed not by turning away from theory in favor of practice, but by more theory — a more adequate theory. As I said, I could take this approach, but I going to leave this interesting idea for another time. For now, I will take it at seeming face value that in a social context there are social beings that principally act and social beings that principally suffer. This is important. A being that acts we call an agent. Thus we can also call those robust being that both act and suffer agents as well. But what of those beings that suffer only? There is a sense in which to suffer is the negation of being an agent. Should we posit a particular species of social being that suffers only a sufferant, in contradistinction to the agents that act only? Or is suffering really still a kind of agency, a kind of acting? Sartre’s theory of emotion might be applicable here, as it had been traditional to think of emotions as passive responses; Sartre tries to show that emotions are actions undertaken by an agent. This is another interesting idea, and once again I am not going to follow up on it here. In the idea of integral history that I have been attempting to formulate in this forum, I have made the idea of agency central. The primary distinction that we find in human self-understanding of history is based upon an understanding of agency, which I schematically break down into another four permutations: human agency (humanism), human non-agency (fatalism), non-human agency (supernaturalism), and non-human non-agency (naturalism). With the above-posited distinction between agents and sufferants in mind, I find that I must ask myself how I can bring together the schematic extrapolation of Plato’s definition of being and the schematic extrapolation of agency in history. Another way to ask the same question would be to ask what constitutes the ontological foundation of agency. 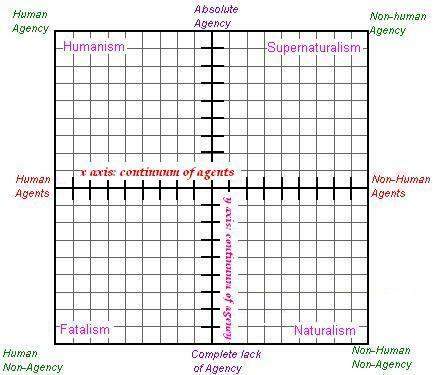 On this graph, the x axis is the continuum of agents, stretching from human agents to non-human agents; the y axis is the continuum of agency, stretching from complete efficacy of agency to complete absence of agency. These two continua taken together constitute a two dimensional matrix whereupon we can plot subtle distinctions in conceptions of history. I made up a graph of agency that was intended to visually demonstrate the possibilities of agency. Ought I to add another dimension to include sufferants in this scheme? Ought I to place non-agency or neutral agency in the center of the diagram, so that positive agency can extend in one direction and negative agency (suffering) can extend in the other direction? This is something that I will need to think about. All thought is a work in progress. To glimpse where further work needs to be done is to understand better, through the inadequacies of previous formulations, in what direction progress is to be made.